IWASSA Co.: Not sufficient for 140 characters on Twitter? Not sufficient for 140 characters on Twitter? 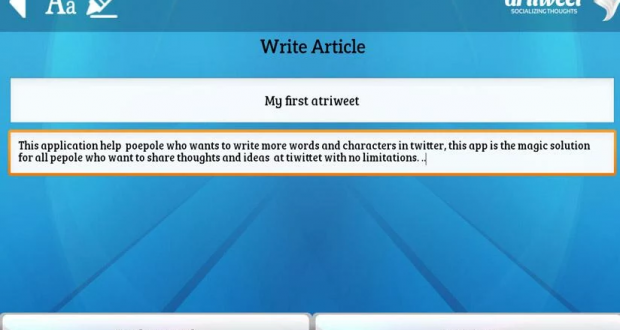 There are many services for the Twitter-Tweets to write long, which published part of it with a link to a follow-up reading on-site service, and today there is an application for smart phones gives you the possibility of a special publication of a long and tweet it by converting it into an image.